Ok, so if you didn't get the memo, John and I are obsessed with pizza. Last week I shared a cauliflower pizza crust recipe, and we enjoyed it so much that we thought we would we try out a zucchini crust. Let me tell you, it was a little more work, but it was even better... so don't let the green crust freak you out!! 1. Begin by shredding your zucchini with a cheese grater (or food processor, if you have one). 2. After shredding all of your zucchini, squeeze out all of the loose water. This step is important so that your crust will stick together and not be moist (I probably squeezed out about a 1/3 cup of liquid). 3. Once your zucchini is dry, mix it together with an egg and 1/4 cup of cheese. 4. Then, form the pizza crusts on wax paper. Make sure not to make your crusts too thin that they break, but not too thick that they won’t toast (mine were about 1/4 inch thick). 5. With your baking sheet or pizza stone in the oven, preheat to 450 degrees. Once the oven is preheated, remove the baking sheet, place the crust and wax paper on it, and return to the oven. 6. Bake for 20 minutes, flipping the crust half-way through. Take care not to break your crust while flipping. 7. Once your crust is toasted to your liking, add your desired toppings, and bake for 10-15 minutes, or until done. This whole zucchini crust thing got me thinking… squeezing out the excess moisture took some time and was kind of messy. 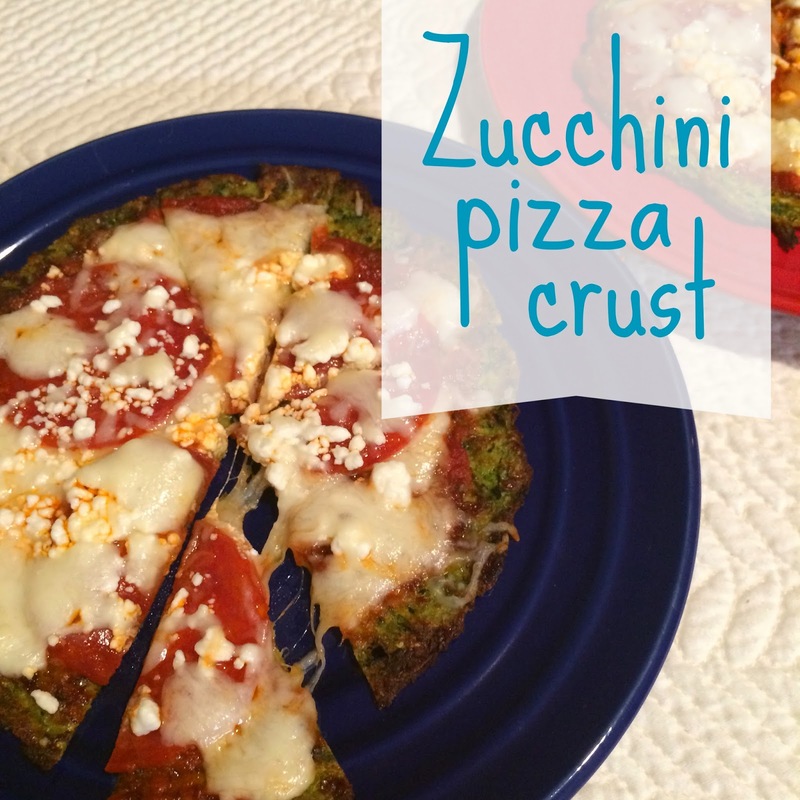 Has anyone ever juiced zucchini and taken the dry pulp to make a pizza crust? I think I will be trying this soon. I don’t have a garden so I don’t really have anything to do with the leftover fiber after juicing, but this could be a cool option - I see some Googling in my near future. What do you juicers out there do with your leftover fiber? That is a great idea... the zucchini in general, but using the pulp. Seems like that would work perfectly! I adore you and these recipes! Cannot wait to try! Awesome, more pizza! Though I still need to try the cauliflower one! Seriously, why is pizza so good?! You are killing me with all these pizza posts! 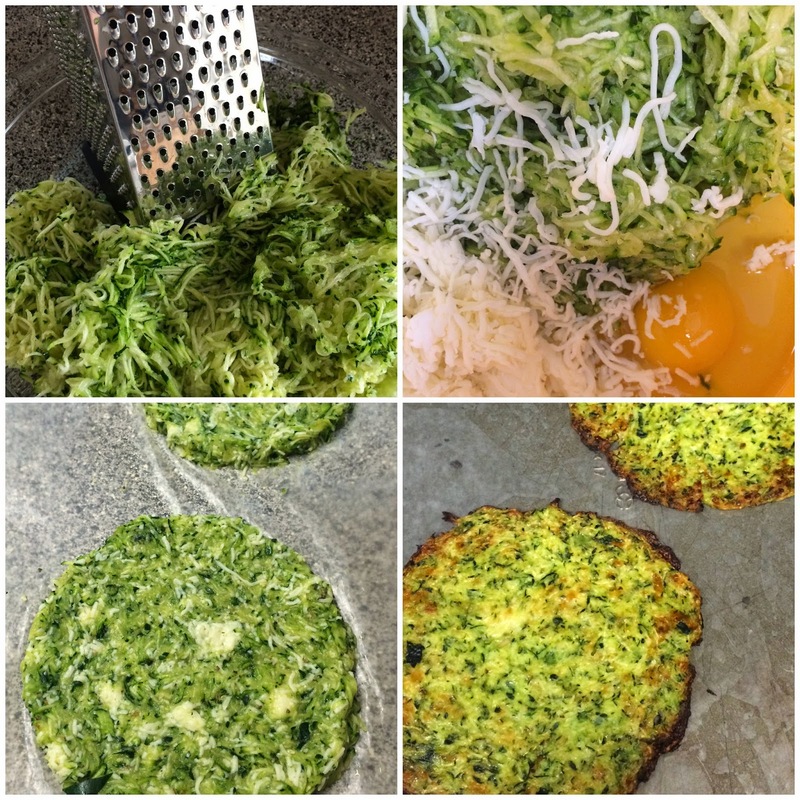 I can't even put into words how much I love zucchini, so I think I'm a bit more likely to try this one over the cauliflower crust! This is probably a stupid question but what did you use to get the moisturize/liquid out of it? Can I place an order for delivery?! You guys are so good at making all these pizzas!! Yay! More pizza recipes! Can't wait to try it. I told my family about this when I was home for Easter Weekend. Yum! I've seen this on Pinterest but never tried it! I definitely need to soon though! This would be great when making an egg/veggie quiche. I found your recipe over at Tuesday’s Table. I host Tickle My Tastebuds Tuesday and would love it if you would come over and share this recipe. I’m sure our party goers would love it! Here is the link http://bit.ly/1qcBRGv. Have a wonderful day!